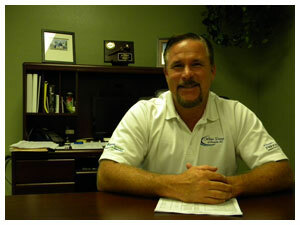 Joe Dudash, President and Founder of Water Designs of Sarasota, Inc.
With more than 30 years of experience, his reputation of quality and integrity are the foundation of every pool we design. Our reputation is proven by our customers' satisfaction with approximately 95% of all Water Designs private homeowner customers coming to us by referral and word of mouth. Equipped with the state-of-the-art “Pool Studio” 3D backyard design computer program, our team is ready to make your dream pool come to life. From paver decks to grill islands, fire pits, spas, water features and fencing; creating amazing intimate spaces has never been easier. One of the most important assets of Water Designs is its family of affiliated subcontractors and employees. Each member of our team at Water Designs has an obligation to uphold and abide by the highest standards of honesty and integrity. We are committed to offering some of the highest quality products and most advanced construction techniques to ensure a reliable pool with years of enjoyment in your backyard paradise. Each pool comes with a full warranty so you are assured of diligent attention even after the pool is built.